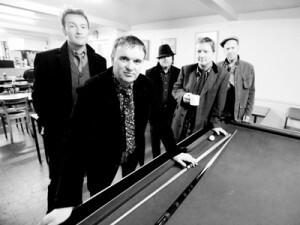 Squeeze is here on Tuesday night – that’s August 3rd, and they’ll play a headlining show at Showbox Market. The British band released one of my favorite songs ever, “Cool for Cats” on 1979’s Cool for Cats. Their influence is heard in so many bands and they still have such a distinctive and groundbreaking sound. There are a lot of great elements in their music from funk to jazz to disco to their lyric delivery, which comes out nearly as rap in many songs. I have the feeling that bands who draw from them might not even realize where they’re getting their sound. They’re probably best known in the States for “Pulling Mussels (From the Shell),” “Tempted,” and “Black Coffee in Bed” but check out some other awesome songs you can hope to hear (plus many appear on the CD featuring new recordings due out on August 3rd, Spot the Difference). Written by: Dagmar on 08/02/2010. This entry was tagged posted by dagmar, squeeze. Bookmark the permalink.